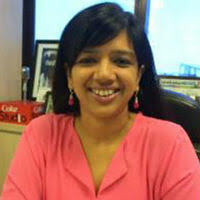 Sujatha V Kumar, Director - Category Marketing & Corporate Brand, The Coca-Cola Company has joined Google India as Head - Brand and Reputation, Marketing and Strategy. Kumar joined Coca-Cola in 2011 as Category Director, Marketing - Coca-Cola, and headed the Brand until April 2014. During this period, she developed and deployed Coca-Cola’s Must Win Battles, working closely with our bottling partners, and shaped the brand and creative strategy of making the Coca-Cola promise of “Being the Happiness Icon” relevant for India. Kumar then moved to the role of Executive Assistant to the Business Unit President and Director – Strategic Initiatives. In this role, apart from assisting the CEO in all key tasks and initiatives, she led the key Strategic Initiative for the Company of “Refresh 2020/Promoting Trust” within the category. Her last role at the organisation was Director - Category Marketing & Corporate Brand, The Coca-Cola Company.